Using a mortar and pestle, crush the dried herbs until almost powdered. In a small cauldron or saucepan, heat the lard over a low flame until it is melted completely. Add the herbs, the clove oil and chimney soot to the lard base and mix well. Add the benzoin as a natural preservative, stir together clockwise and then simmer for ten to fifteen minutes. Strain it through cheesecloth into a small heat resistant container and then allow it to cool. Store it in your refrigerator or in a cool dark place until it is ready to be used. On a night of the Full Moon, anoint your temples and Third Eye with a small amount of the flying ointment prior to astral projection or dream magick. 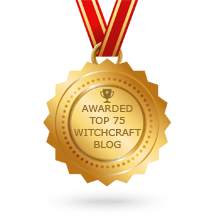 Posted on May 9, 2014 by ladyoftheabyssPosted in Articles, Astral/Psychic Spells, Daily Posts, Miscellaneous Spells, Powders & OilsTagged benzoin tincture, clove oil, cup lard, Mortar and pestle. Instructions: Bend over at the waist and brush your hair upside down for one hundred strokes ,making sure the scalp is stimulated and all residues of styling aids are gone. Work the potion into your hair until it is saturated. Place the plastic wrap over your hair and let it sit. Go outside and soak up the sun. Feel the potion tingling and revitalizing your hair. After a hour in the sun, shampoo and condition your hair, but before your final rinse of the conditioner thoroughly rinse your head in the rain water. Allow your hair to air dry naturally. You will see a improvement in your hair instantly. Posted on March 23, 2014 by ladyoftheabyssPosted in Beauty and Longevity SpellsTagged flaxseed oil, Mortar and pestle, plastic wrap. Crushing them together with a mortar and pestle. Leaving them in the vessel, hold them up to catch the light of the full moon and say: “Moon of night in fullness shine bless this rite protection be mine” Then without touching it fill your pouch and wear it whenever you feel threatened. It also works if you keep it in your pocket. Posted on March 23, 2014 by ladyoftheabyssPosted in Protection SpellsTagged Full moon, Mortar and pestle. Posted on December 3, 2012 by ladyoftheabyssPosted in Daily PostsTagged Alternative, Bleik, Health, Herb, Herbal tea, Mortar and pestle, Shopping, Tea. I am starting very basic here. Some may want to breeze through this. But I have been asked to start at the beginning, so here goes. You don’t have to store your herbs in any special way unless you want to. I just use blue canning jars and interesting bottles. I like a tight lid to keep moisture away from the herb, and to keep the herb in the bottle. Nothing is worse that herbs spilling out into the cabinet and all over the floor when the jar is tipped over! Always label your herbs. Even the most adept herbalist can get confused once in awhile. The labeling method is another matter of choice. As I use my herbs for many purposes, I generally just label by herb name. However, you could also add a few lines stating elemental properties, basic uses, etc. As you learn more you may want to store herbal blends. Label these with the types of herbs used and the purpose it was intended for when you blended it. Maybe you found a certain natural incense you made that you really like. Blend a bunch of it, label it, and jot down the purpose for which you like to use it, e.g., power, relaxation, etc. You’ll find this simple step very useful in the future; don’t always rely on memory. You more than likely will want a few tools. A mortar and pestle, and a good knife should be among your first tools. I use my athame to cut herbs. 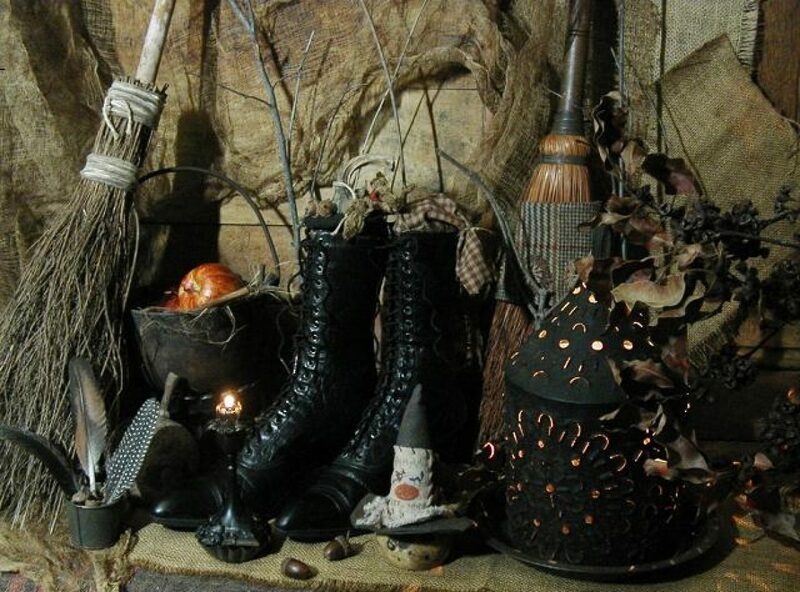 You may choose to use the traditional sickle-shaped “Boleen.” If you intend to use your herbs for both magick and cooking/healing, get two mortar and pestles (especially if you choose something porous like wood). This way, a mortar used to crush mistletoe and holly won’t be used for crushing pepper and garlic. Remember, some of the herbs you use for magickal work are toxic if taken internally. With the exception of the knife, I prefer to use wood, stone, or clay for my tools, and tend to stay away from metals. Certain oils and herbs have a reaction with some alloys. Other tools you may want are pretty basic to the Craft in general, and you may already have most of them. These include a censor and incense, candles of various colors, and a bowl for mixing. You’ll need something to hold water (if needed), like a shell or a bowl, and you may want to collect various sizes of shells or containers for measuring your herbs. You may want a colored cloth for a bag, string,or rubber bands for sachets, and of course you will eventually want to make amulets and such. But these things can be acquired as the need arises. Other than what I have mentioned above, the purpose will tell what supplies are needed. You may go a step further and charge the powder under a full moon, if you’d like but it is fine to use it right away. Walk around your house clockwise three times while sprinkling it onto the ground. Now your home is protected. Posted on February 11, 2012 by ladyoftheabyssPosted in Powders & Oils, The Earth WitchTagged Business, Earth, Magic, Magick, Mortar and pestle, Powders, Wicca, Witchcraft.